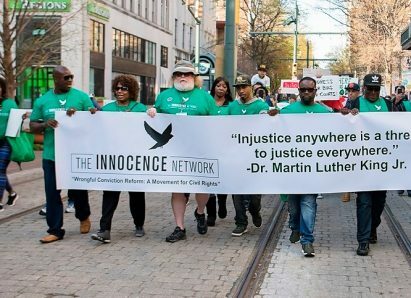 Learn how organizations like the Innocence Project are ensuring the presumption of innocence is maintained in this week’s CLP Current Event. CLP: Requires sign in to access full article; offers a perspective of presuming that an accuser is telling the truth. CLP: Should there be different expectations for fact-finding versus legal proceedings? What is the presumption of innocence? Why is it fundamental to our system of justice? What does the word innocent mean? What is the difference between not guilty and innocent? Does the presumption of innocence apply only to the courts? Does one party have to be guilty if the other is innocent? What scientific methods do we use to provide information about guilt and innocence? Are minority status and economic power and geography considerations when we consider the presumption of innocence? What role does the criminal justice system play in determining innocence and/or guilt? What reforms of the criminal justice system might be helpful in achieving justice? How are minors affected by the presumption of innocence? Are they protected or silenced? How are the rights of the accused and the accuser balanced? What role does the media play in the presumption of innocence? Does the presumption of innocence relate to the Kavanaugh Supreme Court nomination hearings? CLP: Provides lessons covering topics within three categories: Lives Taken, Life on the Inside, and Life on the Other Side. These were created by the Street Law Clinic at Georgetown University Law Center. 8.21 Analyze important political and ethical values such as freedom, democracy, equality, and justice embodied in documents such as the Declaration of Independence, the United States Constitution and the Bill of Rights. Unit 5, Lesson 27: How does the Constitution protect the right to due process of law? Unit 5, Lesson 32: How do the Fifth, Sixth, and Eighth Amendments protect rights within the judicial system?